Showing results for tags 'usb tethering'. 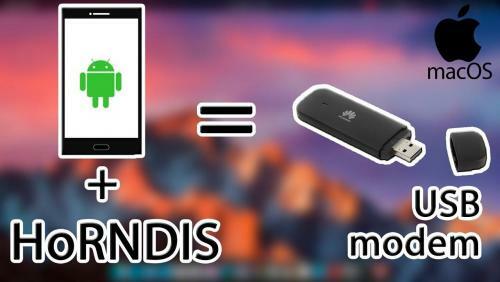 https://www.youtube.com/watch?v=t7-9nHR3WIs HoRNDIS is a driver for Mac OS X that allows you to use your Android phone's native USB tethering mode to get Internet access. It is known to work with Mac OS X versions 10.6.8 (Snow Leopard) through 10.14 (Mojave), and has been tested on a wide variety of phones. Although you should be careful with all drivers that you install on your computer, HoRNDIS has been tested at least well enough for the author (and many others) to run full time on their own personal computers.